Preheat grill for medium-low heat. Thread shrimp onto skewers, piercing once near the tail and once near the head. Discard marinade. Lightly oil grill grate. 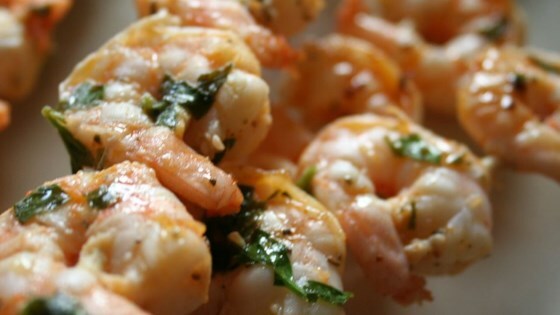 Cook shrimp for 5 minutes per side, or until opaque, basting frequently with reserved marinade. Don't forget to soak wooden skewers for at least 30 mins in water before to prevent burning! !